We have some great books due for release this Thursday and to help you decide which ones to pre-order I am posting all of the reviews ahead of publication. After reading The Making of Us a few weeks back I was looking forward to reading Lisa Jewell’s new up and coming release Before I Met You. The book is set in two time periods the 1990’s and the 1920’s each chapter alternates between these time periods. We first meet our two main characters as little Elizabeth or Betty as she is soon to be referred to moves to Guernsey to live with her step-grandmother Arlette. As the years go by Betty finds herself looking after her grandmother after she falls ill meaning that all of Betty’s friends leave the island for study or work and Betty is left to care for her grandmother but as time moves along Arlette dies and leaves a difficult task in her will. She has left a large sum of money to a Clara Pickle problem is no one has ever heard of her and they have a year to find her and if they are unsuccessful then the money goes to Betty. Betty decides to take on the challenge of finding the mysterious lady as she travels to London and unravels many episodes of Arlette’s younger life. In between following Betty who is trying to unravel details of Arlette’s past we are shown Arlette’s life through her own eyes so we know the missing pieces of the puzzle. For any of you who follow my twitter updates or Goodreads you will know that when I started this book I was finding it rather hard to get into and having loved all of Lisa Jewells previous books I thought this was going to be the first one I wasn’t going to enjoy or even finish. The book starts of at a very slow pace and had the feeling that everything was being dragged out a little but let me say this now before you think my review is just going to be a big put down of this book, I am SO glad I carried on! The book does flow at a very slow and delicate pace but once we get involved with the characters and the storyline we see that it is the perfect pace around such a warm and delicate storyline. I loved the structure of the book where we travel back and forth in time and it did feel at times when we were reading parts of Arlette’s life that whilst Betty was searching for clues she seemed to be living a modernised version of Arlette’s life. I also loved the small references which were used to create the feel of the 1920’s such as not having a mobile phone to contact people and funny enough Betty finds herself in a similar situation waiting by a public phone for her phone calls! In all honesty I couldn’t say that I preferred either characters storyline over the others as I felt that they complimented each other. I liked the feeling of unknown all the way through the book, never knowing if the mystery of Clara Pickle will be solved this was what kept me hooked. There really was a mix of emotions and content in this book there were some heartbreaking moments and I did find Arlette’s life very glamorous. 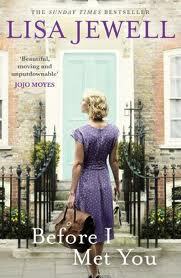 If you are looking for a traditional, delicate and yet charming little read this is most definitely the book for you.